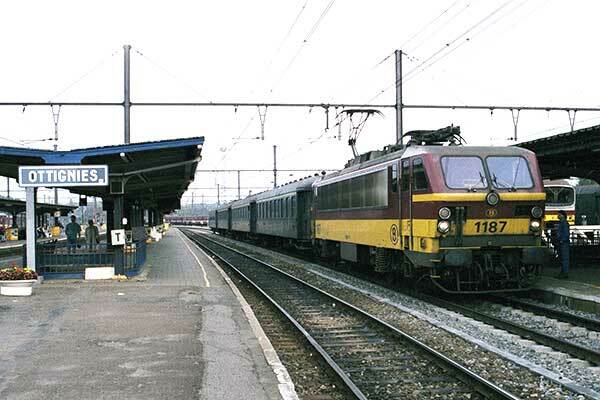 Caption - SNCB class 11 dual voltage Bo-Bo 1187 at Ottignies. This class was built in the 1980s for hauling Benelux trains between Brussels and Amsterdam and were a development of the class 21 locos of similar design. They were numbered 1181 to 1192 to avoid a clash with NS Class 1100 locos that were still in use at that time.